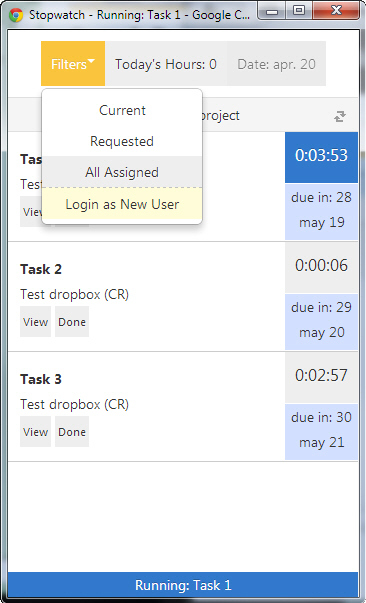 To make capturing time spent on project tasks as easy as possible so your WorkFront Projects reflect actual time spent on tasks, as it happened. Stopwatch is an simple to use browser-based tool that makes capturing time in AtTask fast and easy. 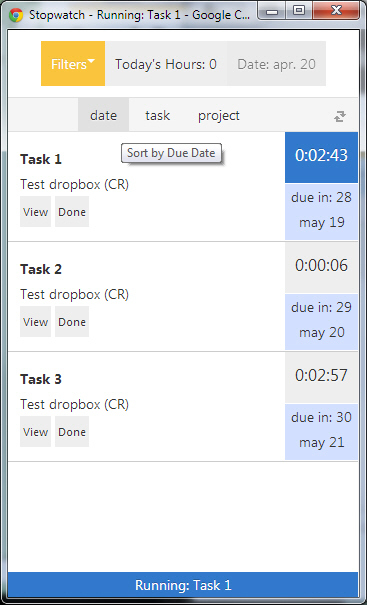 You are presented with a simple list of your own tasks across multiple projects. Stopwatch is your personal dashboard that shows when your tasks are due, lets you close completed tasks, and shows your total recorded hours for the day. 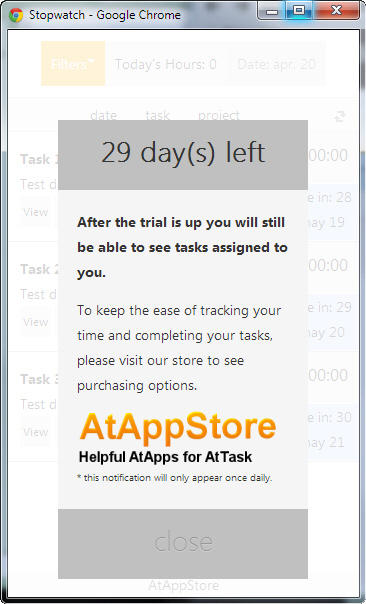 Simply click on a task to start the stopwatch. 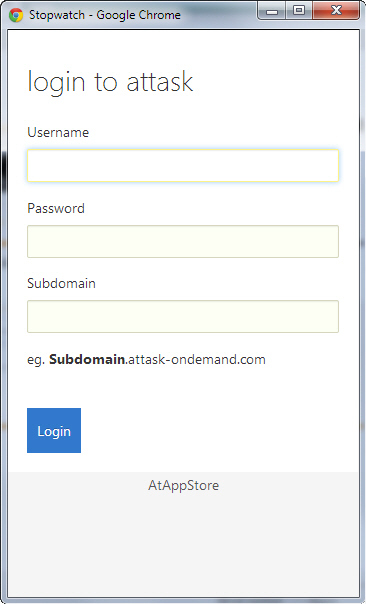 A second click stops the stopwatch, and automatically creates a corresponding timesheet record in AtTask. It is easy to capture time for a single task, as well as multi-task between tasks. 1. Try Stopwatch FREE for the first 30 days. 3. If you have any problems, please email us at sales@atappstore.com.